A pretty pink drink for a pretty pink princess. 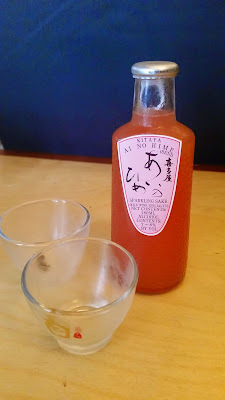 We started our night off with a little pink sparkling sake for a bubbly and sushi filled night. I did mention that sushi is my favorite right? So sushi everywhere! 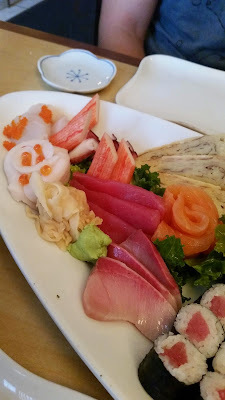 Faceless Samurai is a new place to me, it's small and not just only serve sushi. 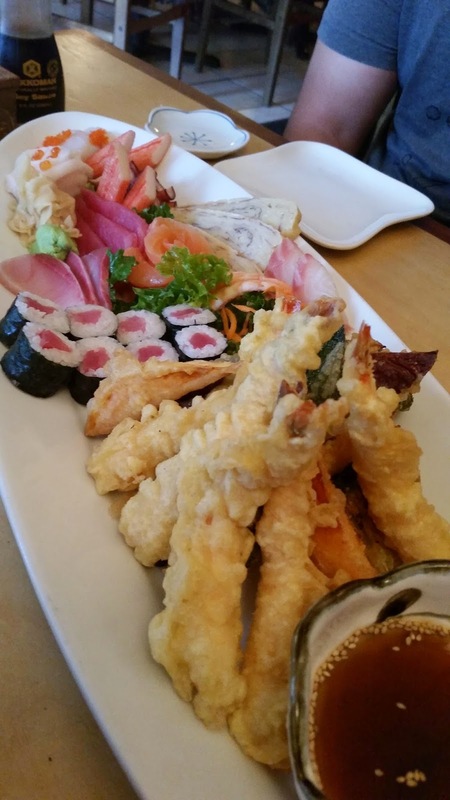 There's a mixture of Thai, Japanese and sushi. It's not an odd mixture as many Thai restaurants also provide sushi. 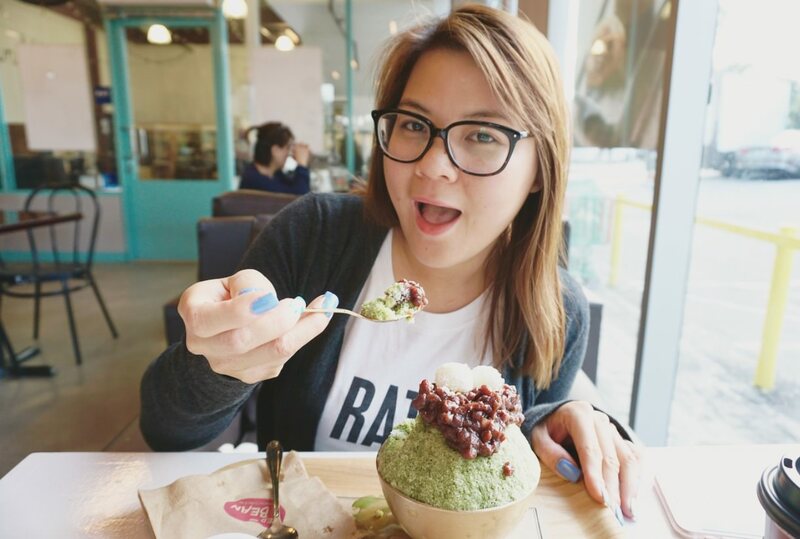 Here at Faceless Samurai you walk into a blast of Japanese culture. The interior is a bit old and dusty, but you are placed inside booths that mimics the style of traditional Japanese tables. You don't exactly sit on the floor, but the tables are made to look as if you were. I dived straight in and ordered us the Kobe Sashimi and Tempura Special as well as the Drunken Noodles from the Thai menu. While I sip on my pretty pink drink our food came out and it was certainly massive! Being a little greedy I saw that they had a cold seafood udon salad and went ahead and put that in. The server was seriously surprised that we ordered so much but since I'm here we gotta go all in right? YES! This is seriously a lot of food!! I'm surprised they put it all together on one plate (the tempura and sashimi) but it does bring out a pretty good looking presentation. For the tempura I wasn't crazy for the batter because I'm a big crunch kind of girl and found that their tempura was a bit on the soggy and thick side for me. I do appreciate the assortments of different types of vegetables that came with this dish, from eggplant to okra. Nom! As for the sashimi, I was surprisingly impressed. The cuts were nicely done and also fresh. I loved that there were also raw scallops that were included in this selection. There was about 10 different sashimi selection included in this dish. Yay! A hot dish to counteract all that cold and raw food. 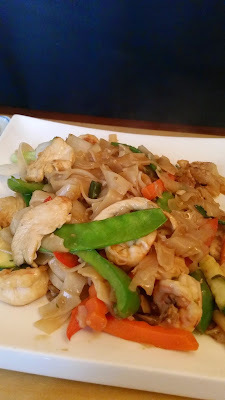 I seriously gobbled the Drunken Noodles up, and no I was not drunk! The flavor was spot on and there was a very nice unexpected kick. Oh dear.... 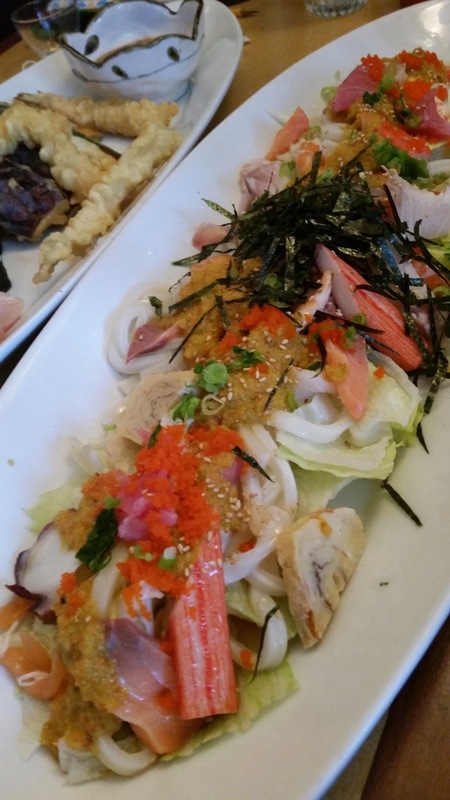 Here comes the cold seafood udon salad. Not what I was expecting at all. I was certainly not impressed with this dish at all. It was basically a layer of salad, cold udon noodles, variety of chopped up fish, ginger dressing and seaweed. Meh, there was absolutely no flavor at all except for the ginger salad dressing which does not go well with the udon or raw seafood. I love the idea of having a well seasoned udon and seafood salad but this did not do well at all. So sad. This is the end of our very filling dinner. 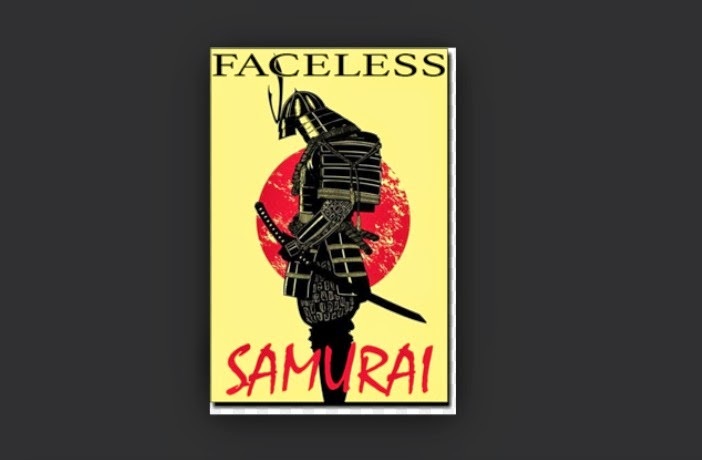 I do recommend visiting Faceless Samurai if you were in the area. 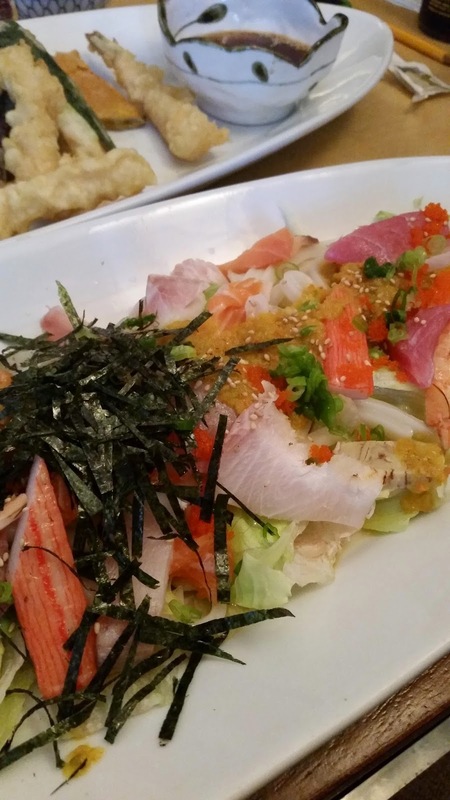 They are kind of hit or miss on certain dishes, but the quality of their sashimi was pretty good. It's a nice cozy restaurant that serve up good seafood for the not faint of heart (whole boiled octopus) and raw scallops.